The wealth gap between blacks and whites in America will take hundreds of years to close -- if ever. If current trends persist, it will take 228 years for black families to accumulate the same amount of wealth as whites, according to a report released this week from the Corporation for Economic Development and the Institute for Policy Studies. For Latino families, it will take 84 years. 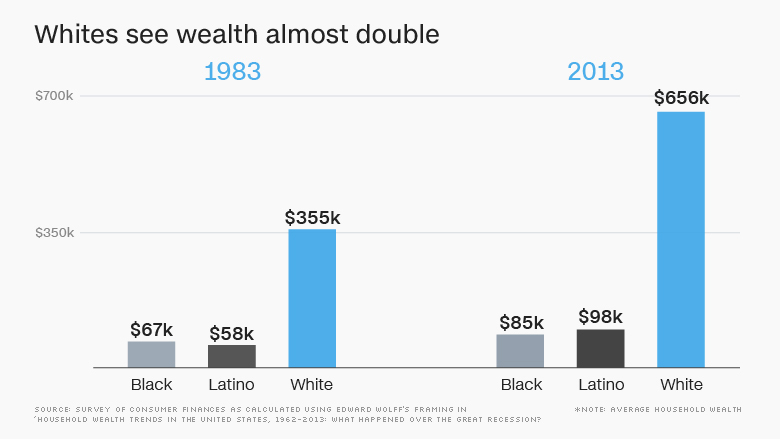 Over the past 30 years, the average household wealth of white families has grown 85% to $656,000, while that of blacks has climbed just 27% to $85,000 and Latinos 69% to $98,000. "We're seeing wealth concentrating in fewer and fewer hands and those hands are overwhelmingly white," said Josh Hoxie, who leads the project on opportunity and taxation at the Institute for Policy Studies. The report focuses on the average wealth of black, Latino and white households in the United States and uses data from the Survey of Consumer Finance. Wealth is the value of assets -- including a home or retirement savings -- subtracted from the debt owed against those assets. Unlike other measures of wealth by race, the figures in the report exclude the value of durable goods like cars and electronics. 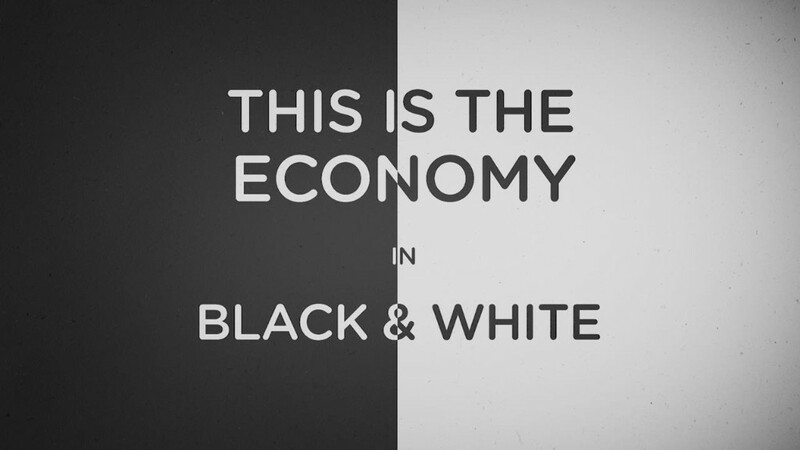 As the number of people of color in the U.S. increases, so will the wealth gap. By 2043, the year the Census expects whites to be the minority in the U.S., the racial wealth gap between black and Latino households and white households will double from $500,000 to $1 million, the report said. The results of that widening gap could be severe, said Hoxie. In addition to straining the social and financial resources of the country, "people don't feel like they are part of the American dream, the American opportunity," he said. There are many reasons for the growing divide, said Hoxie. Historically, blacks and Latinos were targeted with subprime loans during the housing boom and are less likely to own a home than whites. And while homeownership is a critical part of building wealth, homes owned by blacks tend to appreciate less in value than those owned by whites, particularly if they are in black communities that have experienced high rates of foreclosure. In addition, provisions in the tax code, like the estate and inheritance taxes, benefit wealthy Americans who are more likely to be white, said Hoxie. (He notes that there are only two blacks on the Forbes 400, an annual listing of Americans with more than $1.7 billion in holdings). The report comes on the heels of a detailed proposal released by Black Lives Matter activists, which outlined specific economic demands including restructuring the tax code to raise the estate tax and capital gains tax and end income caps on payroll taxes that fund Social Security and unemployment.